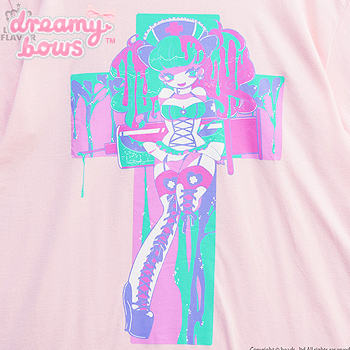 A wonderful versatile tee that can be co-ordinated with styles such as Harajuku Punk, Creepy Cute, and Menhera. 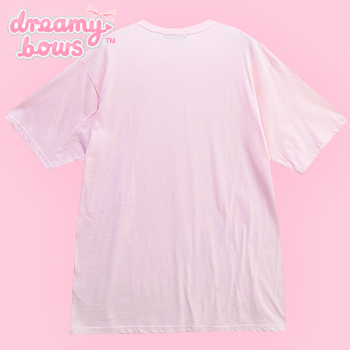 This simple and cute collaborative cutsew top from Yummy! 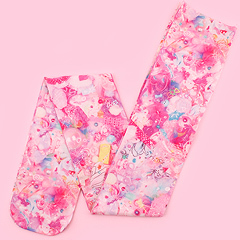 x Listen Flavor is super soft and comfortable with a super cute illustration of a brightly coloured yami kawaii nurse holding a giant syringe behind her. This cutsew top can be co-ordinated with darker styles such as creepy cute, Harajuku Punk, and Menhera-Kei. This tee is also great for casual wear as the tee is loose fitting.